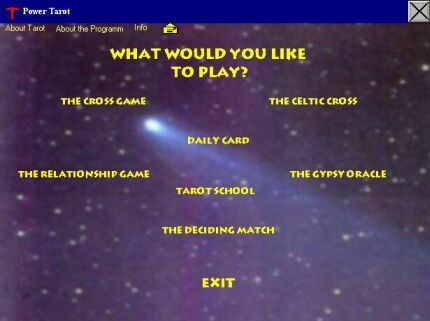 In the main menu you can make decision which spread you would like to use. As soon as you pick up the spread the cards are thoroughly shuffled. 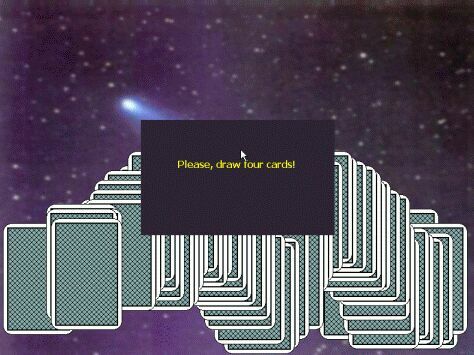 By a simple mouse click you can draw a number of cards necessary for the particular spread. Let see the spread Cross as an example. How can Tarot help you in relationship issues?